Marie at Gyeongbokgung palace wearing a guard outfit. My email has been flooded latley with basic questions about Korea. To be completley honest, some of these questions are a little annnoying to me because they can be figured out by doing any basic research about Korea. However, because this is my first Q&A post I will answer a majority of questions that an anonymous reader sent my way. Yes, as you can see from my last name, I am korean but from southern California...Orange County, CA. I saw your webpage www.goneseoulsearching.com from you tube and i have to say, i don't know how you put it together but you're very talented with the webpage. I've never been to korea yet, i hope to soon visit. It's just the bathrooms without shower stalls that i find it very weird. I mean when you take a shower, you must get your toilet paper and towels wet which would be very inconvenient. What about the food there, is it safe to eat?? Tap water is drinkable?? What kind of food do they serve there?? I've heard some koreans eating dog meat there (barfffff, i saw a video of it on youtube once and i almost threw up) I mean do they eat regular meat like cow, chicken, pork??? Out here in california, especially Los Angeles where there is a high korean population (they have K-town in L.A. called Korean town) the restaurants don't serve dog, it's against the law killing dogs for food. How can anyone kill poor dogs and puppies for food. I love animals, just seeing and hearing about this makes me ashamed to be korean. Anyways, what made you decide you wanted to go to korea?? Teaching?? I had some teaching offers before but the thought of knowing i'll be away from family and friends, made me decline to go. Also some friends warned me...some of the teaching jobs they will try and rip you off in your pay and some of it maybe scams; saying if you pay this money upfront, we will find you a good paying teacher salary position on korea. Q: I can't get used to the idea of bathrooms without shower stalls, doesn't your toilet paper and towels get wet? A: Yes, I also was completely weirded out by the whole shower inside your entire bathroom thing. However, after the third shower I got completely used to the process. I simply have a hook right outside my bathroom which I leave my towels on while I am in the shower so that they do not get wet. As for my toilet paper, it is covered with a metal screen and is far enough from my shower head that it doesn't get wet. Its kind of nice always having a clean bathroom, I just never go back inside right after taking a shower because I don't want my feet to get wet, and I hate wearing shower shoes. Q: What about the food there, is it safe to eat? A: This is a naive question. South Korea is not a third world country by any means. Just look at my food blog and you will see high class restaurants everywhere, especially in Seoul. Of course there are some sketchy places down dark alleys, but every country has those kind of eateries and usually they turn out to be the best! Q: I heard Koreans eat dog meat, do they eat regular meat like cow, chicken, and pork? A: This is also a naive question. Have you ever been to Korean BBQ? End of story. Q: What made you want to go to Korea? 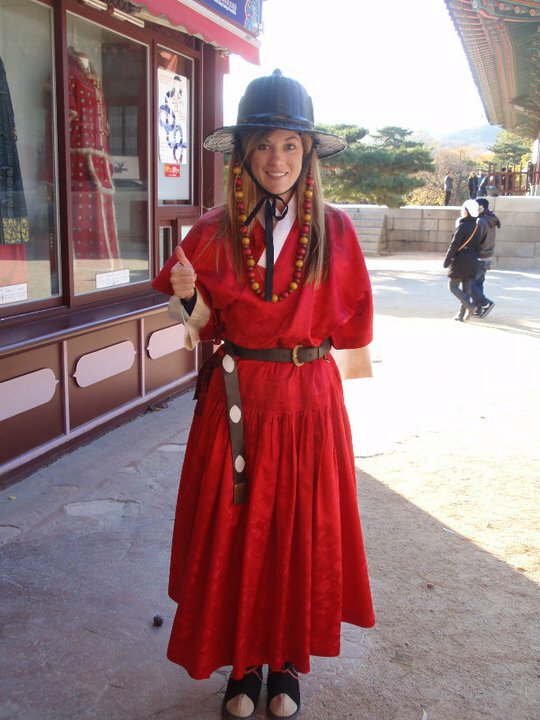 A: The first time I traveled to Korea was during the summer of 2009 for a two week scholarship program. This was an opportunity of a lifetime, and I stayed with a Korean host family and traveled throughout Korea. To read more about why, and how I first became interested in Korea please see my first blog post here. Q: Will the teaching jobs in Korea rip you off? A: This is the most asked question from people interested in moving to Korea, for obvious reasons. Yes, there are many teaching jobs that can be your worst nightmare if you do not research well before choosing a company. This is mostly due to language barriers, and cultural differences. I will write a detailed post about choosing the right Hagwon, or recruiter so that you do not become a homeless expat in Korea. Q: Do you have a Facebook? Can I add you on Facebook? A: Of course I have a Facebook, but I do not add strangers or blog readers as my friend. However, you are welcome to join the Gone Seoul Searching Facebook group and if you hit the "Like" button then you will see our daily posts on your homepage. Simply search Gone Seoul Searching in the Facebook search box.